Debra founded its own social enterprise Debra-djeca leptiri j.d.o.o. with the aim of ensuring a stable and undisturbed work of the Association, which does not depend solely on the amount of donations from public tenders. This is to ensure uninterrupted customer service, which will result in an increase in the quality of their lives. We will populate handmade in Croatia and enable our citizens to make purchases at all times, not just during short-term humanitarian actions. YOU CAN SEE FULL RANGE OF PRODUCTS HERE. Since all Debras projects are turned towards the end user, and the funds available through public bidding are smaller, the need for finding a solution in the continuous fundraising of the association has emerged, as the needs of our members are continuous, often difficult to foresee and costly. 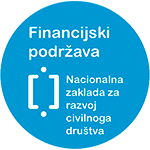 There is also a continuous cost of renting apartments (rent, direct) for the sufferers and families during their stay in Zagreb for treatment, which families use completely free of charge and the operating costs of office (lease, direction, employment). Also, maintenance of the apartments is always necessary, some repairs are needed, the appliances in the apartment need to be replaced by new ones, it is necessary to repaint once in a year, and the carpentry repairs are required from time to time. Also there is cleaning, washing and ironing of bedding, on a daily basis. It is often necessary to buy new bedding, even pillows, blankets and mattresses, because they are permanently stained because of wounds that are constantly bleeding. These costs, which are operational, are not preferred to donors, so they avoid to cover them. In order to provide the level of service to our users at the highest level, we need the means to enable it. - Provide sufficient funds to the association for uninterrupted work. - Approved to ALL the needs of 'butterfly children' and thereby increasing the quality of their lives - Increased public awareness of 'children butterflies' and their problems, and we are able to help them by buying cute products directly, at any time, not just for the duration of some actions.